Having both of these features ensures you will be able to enjoy your static throughout the year, especially in the UK winter when you will want to keep warm at the same time as and saving on energy bills. Statics that have both double glazing and central heating offer luxury for leisure use and provide seasonal workers a better experience of accommodation, where they can rest up for their work. Use our search and view our used statics below to find your ideal model at the right price. We recommend booking a viewing for the statics you’re interested in to get a feel for their atmosphere and size. Why choose central heating in your static? When buying a house, one of the selling points is central heating. Central heating is easy to use because with the flick of a switch the entire house can be warm within the hour. Who wants to go around each room in the house turning on electric heaters, or waiting for the gas fire to heat the room, to then go into another room and instantly feel the cold? The same goes for central heating in static caravans; it’s quick and easy and for most buyers, is instantly more appealing. The ease of central heating is not its only benefit. Its efficiency makes it economical to run and most see a significant decrease in utility bills when using central heating. Although choosing a static caravan with a central heating system has a higher upfront cost, the cost benefits in the long run outweigh the initial expense. Furthermore, any system that cuts our reliance on mains powers results in an overall more environmentally friendly home. Central heating has been the preferred method of heating around the world for half a century and that is because of the benefits that it brings, so why not enjoy this comfort in your second home? The installation of central heating is possible in a variety of static caravans. Depending on the type of central heating you choose, it can be controlled using a wireless room stat as well as radiator valves in individual rooms. The bonus of buying a static caravan with central heating means that you don’t need to fork out costs that could range near the £3,000 mark to install it yourself. If you have concerns about how central heating may affect the look of your static, know that any pipework that has been installed for central heating has pipe covers, so the look isn’t compromised. 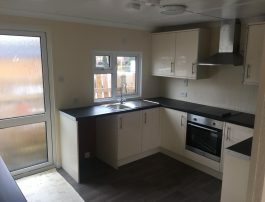 The boiler system is also tucked away and out of sight in a cupboard or other cover, keeping in with the appealing design of the specific used static caravan. Why choose double glazing in your static? 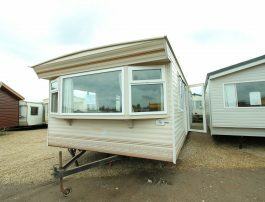 Double glazing is another facility that many of our caravans offer, catering to lots of caravan owners who wish to upgrade to double glazing on their new purchase (this also tends to go hand in hand with central heating). Perhaps you have used your first static caravan more than you thought and would like to invest a little more money into the comfort of a caravan that is ready for all environments, and comfortable for UK winters? 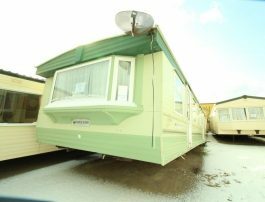 If you are thinking of changing your caravan to a newer model we have plenty of caravans that include central heating and double glazing as a more luxurious option. Double glazing means that your caravan can be warmer in the winter, and cooler in the summer. If your caravan has central heating it would be a shame for all that heat to be lost because of poorly insulated windows. Therefore, combining it with double glazing is an excellent choice. In single glazed windows, 50 -70% of the caravan’s heat can be lost. 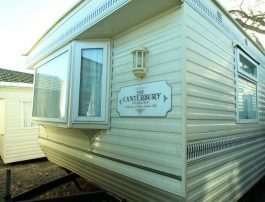 Your mind can rest as you enjoy the comfort of your well heated caravan without the fear of losing it out of the window. Although heating is necessary in the colder months, when the temperature increases you can relax as you won’t need to rely on heating to keep you warm. Double- glazed windows provide enough insulation that your energy consumption will be reduced, and you will therefore save money on your power bills and be able to spend it on that round of ice creams for the family. As if that isn’t enough, double-glazed windows are excellent on those noisy days when you’re exhausted from a day out with the family or at work, and you need quietness to relax. It’s reported that you can rely on double glazed windows to drown out 60% of the noise from outside. This is ideal if you are sited at a holiday park and have neighbours closeby. Conversely, it also means you have the TV on a bit louder without worrying you’re disturbing those around you. If any of our double glazed used static caravans with central heating are of interest, we’re available for viewings and calls where we can answer your questions and discuss specific models with these features. To make an enquiry or ask any questions about any of our high quality stock, please call 01403 274 877 or use our enquiry form.